Anyone use the Santa Anna Hunting Area folks for a quail or pheasant hunt lately? Went there in the mid 90's and it was great. Haven't been there since and was wondering if anyone has been and how was it? I took my two boys on a TYHP upland hunt last fall and they had a blast hunting pheasant. It was a really good hunt by all. 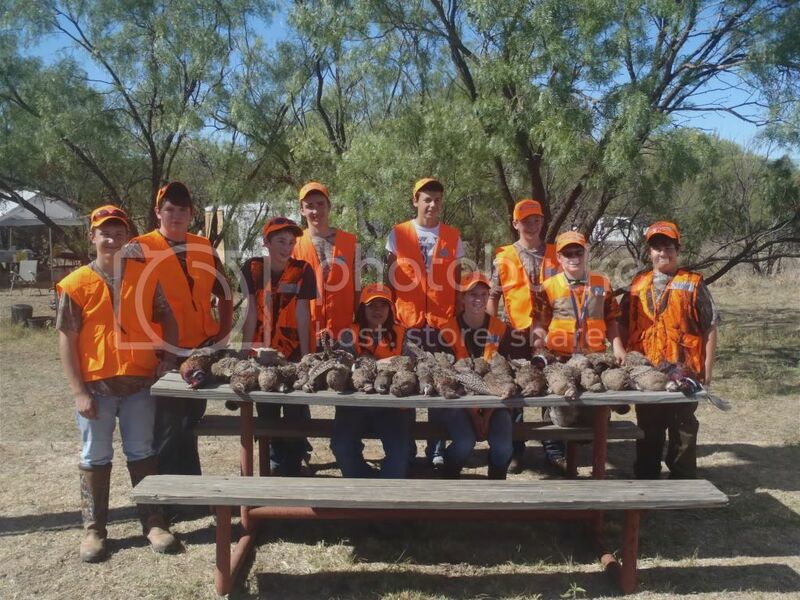 They also combined it with a late season dove hunt a few ranches down. We may try to sign up again this year. Great. I appreciate your response. I am looking forward to going back and giving it a try. All the folks there were outstanding when we went. They are definitely 1st Class. Been there 3 times and know the owners well, and each time the hunting and services were great! Bought the first time at a DU event for my BIL and 2 nephews in 06 for their first upland hunt - hooked them hand over fist! Been back in 08 & 10.